Warm tones of gold and cream exude sophistication. 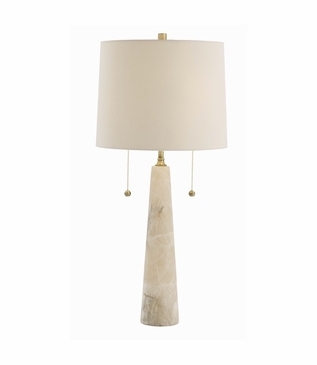 This lamp's cream marble base tapers and is then crowned by an inviting putty shade. 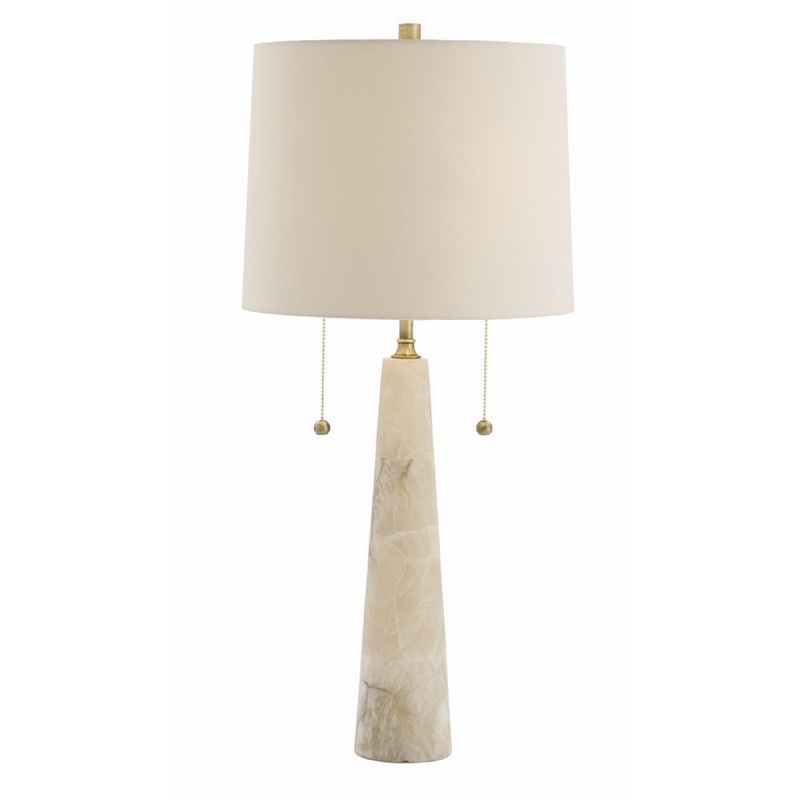 A brass finial and coordinated pull chains complete the grand look. 2-60W maximum, Type A bulbs (not included), on/off pull chains.